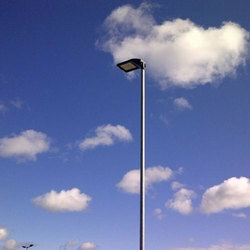 We offer to our honored patrons the first-class range of SS Light Pole. Easyq is queue manager. In India it is know as queue manager and it other parts of the world it is known as crowd managers or crowd controllers or queue barriers or queue stanchions or queue poles or queue stands. Stainless steel Pole Base and A3 Tilted Signage in SS and Acrylic. Stainless Steel Pole and Base. Metal base for added stability. 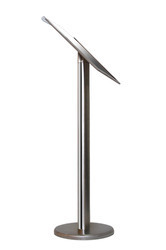 MS/SS Flag pole has a smooth metal designed finish product. Rust Resistant. These are available in various design, style, as per your requirement. We are offering Stepped Poles to our clients. Stainless Steel 1.5 Diam. Pole With Display Frame, with round/ triangular base. We are a unique name in the market to provide our respected customers an exclusive range of Stainless Steel Pole. We have carved a niche amongst the most dominant names in this domain, involved in providing a superior quality range of Stainless Steel Pole.